Drive more traffic to your website, engage customers and make it easy for users to access information. With QRC Maker you can easily generate QR Codes for websites, landing pages, contact information, promotional codes, and more! Publish them on your printed marketing materials, and easily reach your mobile audience! QR Codes enable mobile users to move from printed materials to more in-depth online content with just a simple scan. Drive more traffic to your website, engage customers, and make it easy for users to access information all by simply scanning the QR Code with their mobile device. Users can immediately see a music video, join you mailing list, connect with you on social networks, win prizes, and even purchase your products. With QRC Maker you can even create individualized codes for large mailings or direct users to mobile landing pages associated with your QR code. 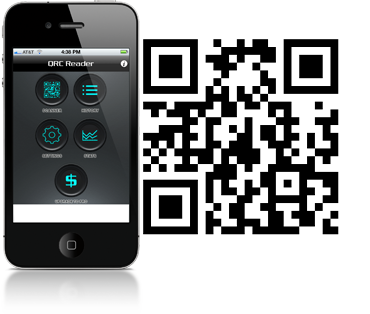 QRC Maker allows registered users to track the success of your QR Codes by finding out how many people have scanned the code, when and from what location, allowing you to immediately and accurately measure your ROI. QR Codes provide a focused and immediate way to reach your target markets. Linking traditional and new media in a customer controlled platform, QR Codes also enable you to quantify results in real time.